The Ameo corporate edition is a special offer for corporate and business customers. 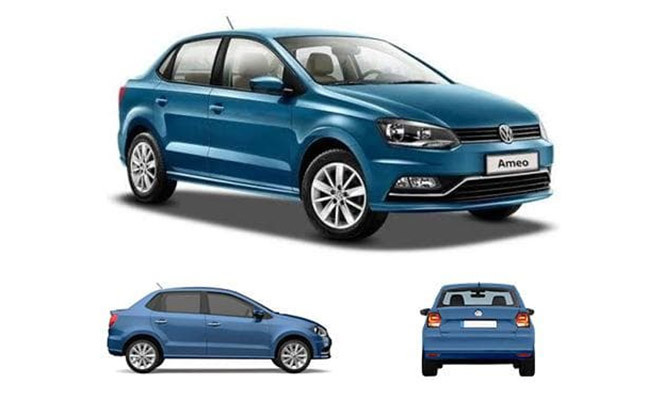 Being based on the Highline Plus trim, the Volkswagen Ameo corporate edition The German carmaker Volkswagen has launched another variant of its sub-4 metre sedan, the Ameo. Christened the Ameo Corporate Edition, it is based on the Highline Plus manual variant and is exclusively for corporate employees and business owners. It features dual airbags with ABS and EBD, automatic headlights, rear parking sensors with camera, a 6.5-inch touchscreen infotainment system with Apple CarPlay, Android. The Volkswagen Ameo new edition is coming with a choice of two engine options - the 1.0-litre MPI and 1.5-litre TDI.Powered by a 1.0-litre petrol engine the Ameo produces 76PS and 95Nm of torque while with the 1.5-litre diesel engine the unit delivers out 110PS and 250Nm of torque. Transmission choices encompass a 5-speed manual for both the diesel and petrol versions. Uninterestedly, the Ameo Corporate Edition is not available with the diesel automatic powertrain which offers the dynamic 7-speed DSG. The price list of Corporate Edition in relation to other variants of the Ameo: All prices, ex-showroom Delhi. The Corporate Edition fills the huge price difference between the Comfortline and Highline Plus variants of the Ameo. It is significantly more affordable than the equivalent Highline Plus variant. In comparison to the Comfortline variant, you will enjoy upgraded features in the Corporate Edition at a small increase in price. At this price, the Corporate Edition with features like cruise control, static cornering lights, rain sensing wipers, climate control and 6.5-inch touchscreen infotainment with Apple CarPlay and Android Auto, wins over the Comfortline variant. The Ameo lock horns with the Maruti Suzuki Swift Dzire, Honda Amaze, Ford Figo Aspire, the Hyundai Xcent and Tata Tigor. With the launch of the Corporate Edition, Volkswagen foresees the Ameo as a much more tenacious challenger in the sub-4 metre sedan segment as it offers ample value and features for the money. The Ameo Corporate Edition hopes to earn liquidity from a target customers whose perks are supported by their bosses/firms, and in the process take an edge over the ongoing competition. 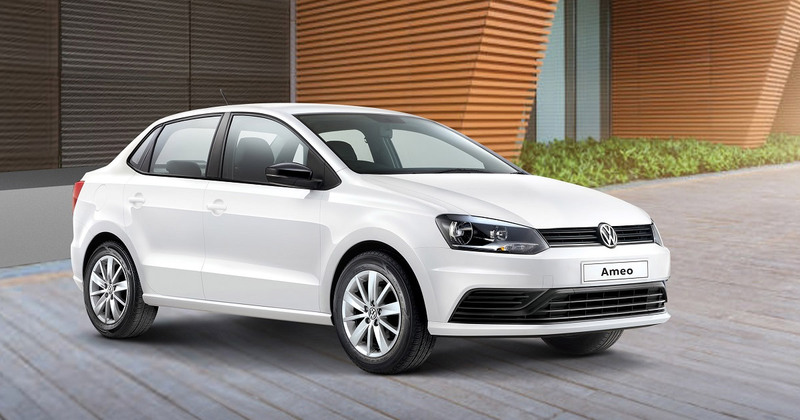 Recently, Volkswagen also launched an exclusive “Black and White” edition of the Polo, Ameo and Vento models which exhibits interior and exterior inventions and refinements. Sign up to get exclusive offers from your favorite brands and to be well up in the news. © 2019 Powered By SAGMart. All Rights Reserved.